Labeled data is the current bottleneck of medical image research. Substantial efforts are made to generate segmentation masks to characterize a given organ. The community ends up with multiple label maps of individual structures in different cases, not suitable for current multi-organ segmentation frameworks. Our objective is to leverage segmentations from multiple organs in different cases to generate a robust multi-organ deep learning segmentation network. We propose a modified cost-function that takes into account only the voxels labeled in the image, ignoring unlabeled structures. 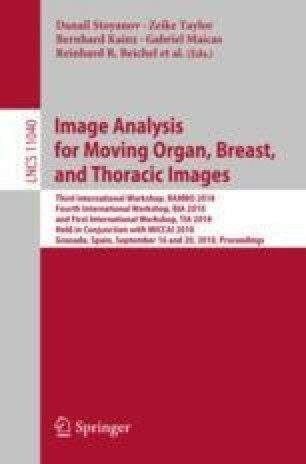 We evaluate the proposed methodology in the context of pectoralis muscle and subcutaneous fat segmentation on chest CT scans. Six different structures are segmented from an axial slice centered on the transversal aorta. We compare the performance of a network trained on 3,000 images where only one structure has been annotated (PUNet) against six UNets (one per structure) and a multi-class UNet trained on 500 completely annotated images, showing equivalence between the three methods (Dice coefficients of 0.909, 0.906 and 0.909 respectively). We further propose a modification of the architecture by adding convolutions to the skip connections (CUNet). When trained with partially labeled images, it outperforms statistically significantly the other three methods (Dice 0.916, \(p\!<\!0.0001\)). We, therefore, show that (a) when keeping the number of organ annotation constant, training with partially labeled images is equivalent to training with wholly labeled data and (b) adding convolutions in the skip connections improves performance. This study was supported by the NHLBI awards R01HL116931, R01HL116473, and R21HL140422. We gratefully acknowledge the support of NVIDIA Corporation with the donation of the Titan Xp GPU used for this research.